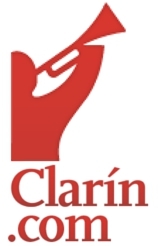 Wall Street-owned media group “Clarín” spearheading anti-government drive in South America’s Argentina. The US-engineered “Arab Spring” brought us the “April 6 Youth Movement” in Egypt, run by Wall Street-backed Mohammed ElBaradei in coordination with the Muslim Brotherhood, the “February 17 Revolution,” consisting of Al Qaeda terrorists of the Libyan Islamic Fighting Group in Libya, and now Argentina has the “N8,” or “November 8” movement working in coordination with foreign-owned Argentinian media group, “Clarín.” Clarin has been enthusiastically supporting the protesters and laying the rhetorical groundwork justifying their street presence. There was no single cause of discontent. Many in the middle class are angry at the highest inflation in a decade, estimated at a yearly 25% by private economists, currency controls that have created a black market in dollars, and one of the slowest economic growth rates in Latin America. Banners and chants also took aim at recent corruption cases and Fernández’s efforts to limit the power of big newspaper and TV conglomerates. Clarín, the country’s most powerful media group, has stepped up its criticism of the government before the introduction on 7 December of a law that will weaken its empire. Mention of the “El Anti-K” Facebook page by the Guardian is interesting for two reasons. First, Mariana Torres and collaborator Marcelo Moran who created the page, have made the unlikely and unqualified claim that they possess no affiliations whatsoever with any political organization. The level of support the protests have received from special interests within Argentina and abroad alone raise serious concerns regarding the veracity of “El Anti-K’s” claims. Clarín is a company and as a company is defined is precisely to unite human effort and capital to obtain a benefit. If this is within the law, we who bought their products or services should shut up or find another alternative. The Kristina government is the one who uses our money that we pay (in taxes), then steals it and distributes it for its own interests. While surely any government is guilty of taking from the people their hard earned cash and misappropriating it in a variety of ways – to somehow claim that Clarin is simply an honest business operating within the law to “unite human effort and capital to obtain benefit,” and that its own unwarranted influence is not a factor, is naive at best. Just how much unwarranted influence does Clarin have to draw from? It is backed by one of the largest corporate-financial institutions on Earth, Goldman Sachs. Image: Taken from page 40 (43 of the .pdf) of Grupo Clarín’s 2011 Annual Report. Goldman Sachs is the largest (and only) named major shareholder of the Clarin Group. The .pdf can be found here. And as illustrated throughout the duration of the US-engineered “Arab Spring,” a corporate-financial institution like Goldman Sachs is not single entity operating on its own, but part of a larger cartel of corporate-financier interests, who do not secretly plot in smoke-filled board rooms their agenda, but fund well-known policy think-tanks like the Brookings Institution, Council on Foreign Relations (CFR), the American Enterprise Institute, and the International Crisis Group (ICG). These think-tanks in turn produce policy that is executed by Western politicians, and talking points which are sold to the public through the vast Western corporate media as well as local outfits like the Clarin Group in Argentina. US government-funded fronts like the National Endowment for Democracy, Freedom House, and George Soros’ Open Society build up opposition groups inside targeted nations, at times directly funding groups when indigenous special interests are either incapable or disinterested in collaborating with foreign special interests. In Argentina it is clear that indigenous special interests are linked with Western designs – just as they are in Venezuela, and a nearly identical campaign to undermine both nations is underway. There is a Real Opposition in Argentina. And while the current government of Argentina is an obstacle for foreign interests, it is by no means perfect. According to readers from Argentina, there are legitimate opposition groups without ties to foreign interests, or the protesters who recently took to the streets, and in fact, are vehemently opposed to foreign meddling in their country. They have enumerated grievances against the government of President Cristina Kirchner, but they are poorly covered by local and international media. It would benefit these groups immensely if they exposed the current protests for what they are, and instead of holding their own protests, began pursuing a program of pragmatic solutions to address their grievances. The governments of both Venezuela and Argentina do employ populism. If they did not, a Western proxy-candidate would move in and use populism to build a pro-West “people’s movement” as an unassailable voting bloc, just as US-backed Thaksin Shinawatra has been doing in Thailand. Populism is a socioeconomic tool, and only as good or as bad as the people wielding it. And like any tool, overuse has its consequences. The tension in Argentina is produced by the benefits of populism reaching their limitations in the face of external pressure, sanctions, and attempts at destabilization both political and economic. Just as has been pointed out in Venezuela after recent elections, more permanent solutions must be explored, and genuine opposition groups have an opportunity to lead the way. If you are in Argentina or are familiar with genuine opposition groups in Argentina, please contact the Land Destroyer Report at [email protected] to describe enumerated grievances and solutions they have put forth, as well as any websites in English or Spanish describing their cause.